At Vitalgrana we started our journey back in 2008, when a group of 400 farmers owning 1,300 hectares of land known as "Els Carrissals" or "Los Carrizales", located in the natural parks of Eldo / Crevillente and Santa Salinas Pola, decided to launch a unique initiative called "Parc Natural Agrari els Carrisals", shortened as PANAC. The philosophy of the project is based on respect for the environment and support for traditional agricultural activities. 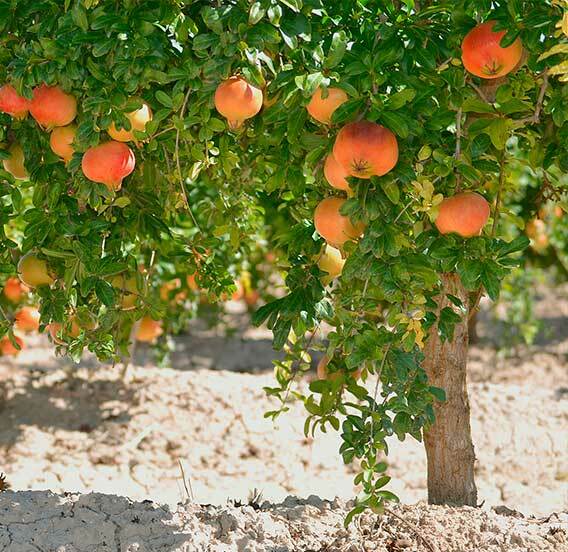 The pomegranates grown in the Spanish East are the main raw material of our products. The pomegranate is one of the so-called "super-fruits" because of the multiple properties it has. During the autumn harvest, at Vitalgrana we select and process the pomegranates daily to achieve a traditional process that respects the environment. Currently, Vitalgrana has a highly qualified staff, which combinesexperience in the agri-food sector and the dynamism of its team's youth. 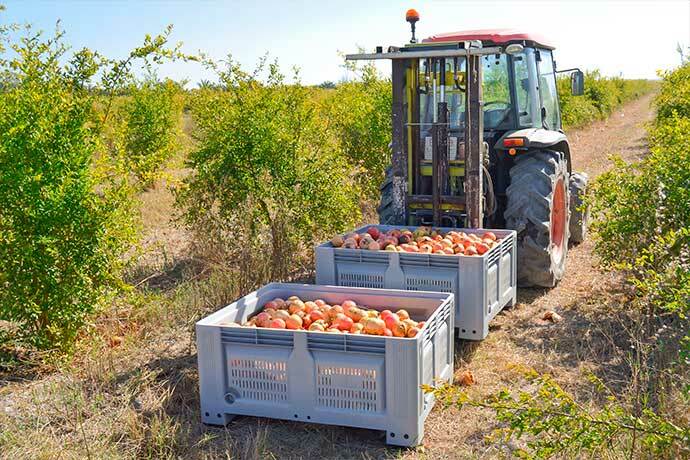 We have facilities comprised of more than 6,000 m2 between covered and uncovered areas, we collect fresh pomegranate in season and we have the capacity to process 100,000kg of fruit per day. At the same time, Vitalgrana's food line can be found in supermarkets and specialised stores, as well as in pharmacies, parapharmacies and herbalists, or food supplement shops. 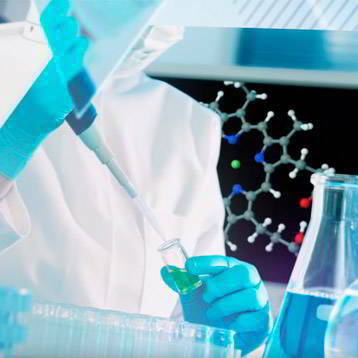 All this work has also allowed us to expand in countries like France, Italy, Germany, Portugal, Holland, the United States, Korea, Japan and China with a healthy and high-quality product. 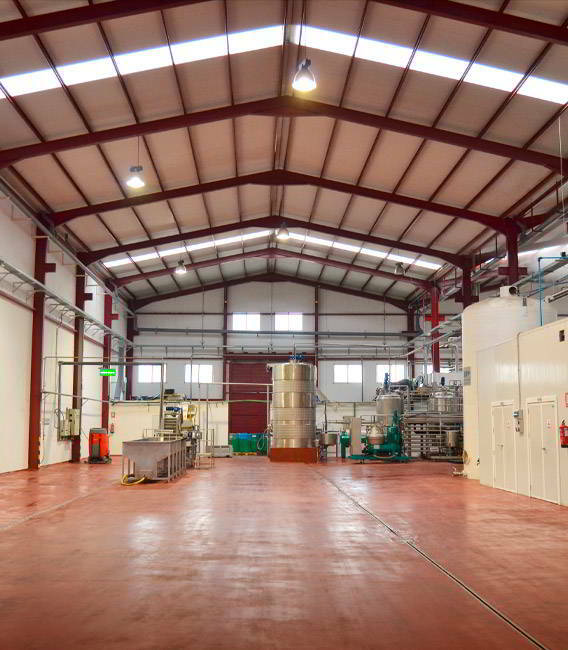 At Vitalgrana we always work aligned with our values: innovation, quality assurance, customer orientation and commitment to the environment. Therefore, we know very clearly what we must do to achieve excellence and help people along the way. 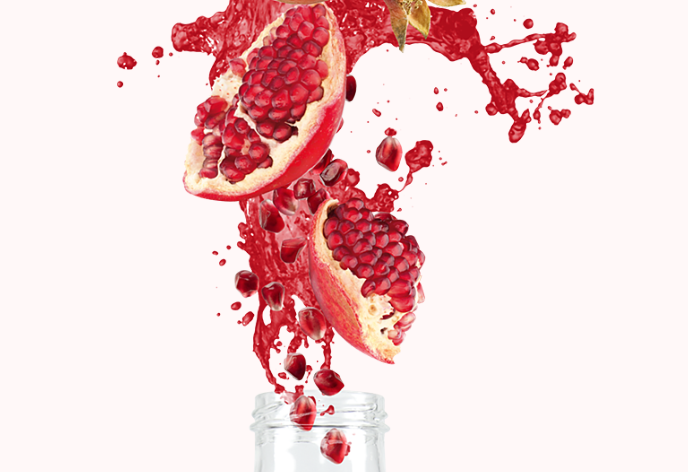 MISSION: we want to contribute to improving the health and well-being of people, inside and out, in a natural way, by incorporating the benefits and healthy properties of the pomegranate in a delicious, easy and comfortable way. 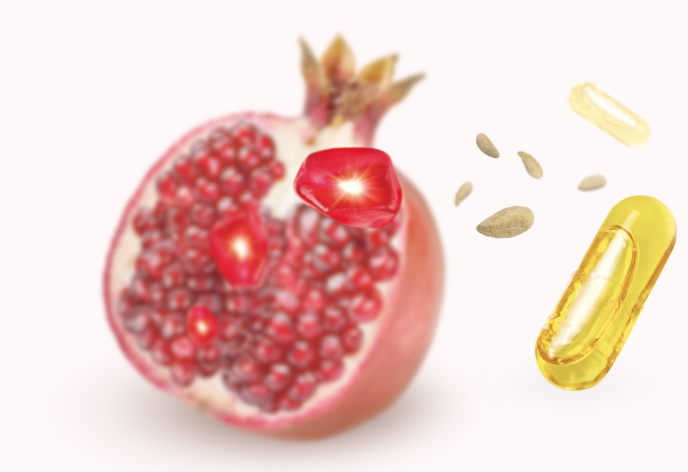 VISION: to be a leader in the national online sale of products derived from pomegranates and with an international presence in the food supplement sector, becoming a benchmark for all those who wish to age with the highest quality of life possible, increasing in a sustainable way the value of the company. Vitalgrana puts value in the traditional cultivation of the pomegranate, the main crop of the area and environment where our project is based. At Vitalgrana we make sure we have the best raw material, because we grow and harvest the pomegranates that are transported to our factory daily after being picked by hand. We harvest our own pomegranates in Spain and we focus on every detail during the production process. At Vitalgrana we obtain our raw material in such a way as to minimize the human impact on the environment, using resources optimally and preserving plant and animal biodiversity, promoting the sustainable development of the area. At Vitalgrana we work to offer you a quality logistics service, with orders delivered in 24 / 48h to mainland Spain and in the shortest possible time to Andorra and Portugal. We have flexibility in communication and shipments and we will gladly answer any of your doubts about the product. 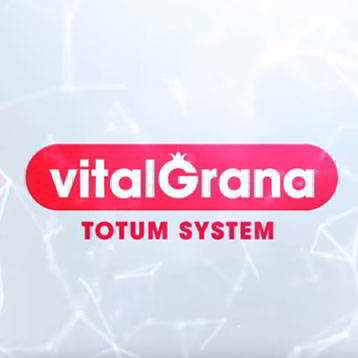 At Vitalgrana our main objective is to help people improve their health and well-being, both physically and mentally, achieving an optimal quality of life by taking advantage of the healthy properties of the pomegranate. For this reason, at Vitalgrana, we collaborate with initiatives that coincide with our values ​​and objectives, such as sports and charities or with such interesting projects as Granaeduca and the Bokoro Project. 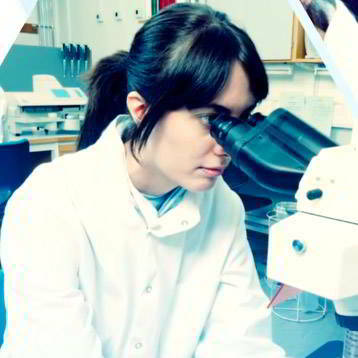 We also collaborate with variousNGOs allowing us to continue helping people. GranaEduca is a Health Education project that seeks to enrich the knowledge and curiosity of students in relation to the pomegranate fruit (origin, consumption and properties), encouraging the consumption of pomegranates, healthy habits and physical exercise. GranaEducabrings together the three groups that comprise the entire educational community, a set of different but inseparable responsibilities: family, industry and school. To do this, Vitalgrana offers free visits for school groups to the Pomegranate Museum located in the facilities of Vitalgrana. Vitalgrana cooperates with the Missionary Maurice Nsambo in the Congolese region of Bokoro by providing financial aid for the educational project for the Pygmy children. The goal is to improve literacy and quality in the education of Pygmy children and young people in the region.